Not often does one get the opportunity to sit for three hours and chat with a band. 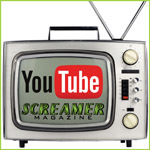 Count’s 77 graciously invited Screamer Magazine to sit in for a chat and a practice session. Arriving at Count’s Kustoms, the band is unloading their equipment and saying their hellos. It’s quite fun to hear the prattle begin as they walk inside the studio. Count’s 77 is the commingling of Danny “Count” Koker (lead vocals), John Zito (lead guitar), Stoney Curtis (lead guitar), Barry Barnes (bass) and Paul Disibio (drums) and the recently added Tommy Paris (keyboards). Each band mate offers an extensive musical resume with Curtis being an international recording and touring blues guitarist and Zito having shaped his career on the L.A. rock scene, and is well-known for his command of the guitar. Barnes is a virtuoso rock bassist teaming up with Disibio on drums, and this powerhouse duo have been sharing the rhythm section for more than 30 years; Barnes playing with ‘Rock of Ages’ and Disibio having worked with The Blue Man Group after landing in Vegas. Paris is best known as the lead singer for platinum rockers Britny Fox. After settling in, the guys rumble around and finally gather in a lounging area between the studio and the Kustom’s shop and the stories begin. Sharing adventures, laughter and even a few light-hearted horrors, Count’s 77 band mates are very entertaining conversationalists. It is really rather enjoyable to hear the excitement from the band about the upcoming release and learn of all the musicians involved with the debut album. The birth of Count’s 77 goes in full circle fashion and proves how some things are just mean to be. “Vamp’d had been built and established. My wife Korie and I had this band called John Zito & Electric Church jamming there all the time which later became John Zito Electric Jam. I was so enthralled with the name that we had to book them on name alone! They were playing every Sunday and were kicking to the biker crowd when the weather was nice. It was really weird because we had a string of horrible weather on Sunday for what seemed like forever.” Zito pops in with a quick statement, “In fact his mom even called once to say ‘Oh it must be a John Zito Sunday it’s raining’; we just couldn’t catch a break.” The entire room breaks into laughter and Koker continues, “We loved hanging out listening to John’s band as it was just way cool. Honestly, most people know the cats I’m playing with are long time accomplished and serious musicians. I am the most blessed person in the word to be associated with them. What people don’t know about me, but are beginning to learn, is I grew up with three things in my world. That would be cars, motorcycles and music. My father was a musician and I grew up listening and singing to music. I used to sing gospel, Southern gospel, black gospel; I sang gospel for a long time and one day walked away from it. During John’s time of playing at the club, Zito knew I had sung before so he asked me to come up for a few songs. Well, guess what? Barry was there, Pauly was there and eventually Stoney got on the stage at one point. We found the five of us on stage at the same time for probably a fistful of songs, just having fun. Afterwards we were sitting on the patio rehashing the night; we found we all had the same agreement of ‘it just felt good’. As everyone knew me for the cars and motorcycles, music is the equality of my soul.” Before the night was over four of them had planned on getting together to rehearse to bring more for the next jam on Sunday. “We really like what we heard and we felt we needed to bring in another guitar player,” states Koker. As four of them in the jam band progressed, it was a hands down vote on their choice for the second player. “We knew we had to talk to that Stoney Curtis guy again!” The group erupts in laughter and agreement. “I’d been a Stoney Curtis fan from way back in the days of The Sand Dollar; sitting on old nasty bug ridden couches, hanging out …what shows Stoney would put on. It’s really amazing how we all got together. In fact, it was Mayor Shortino that introduced me to Barry Barnes and it’s like we all became this one big family,” Koker says with a smile. 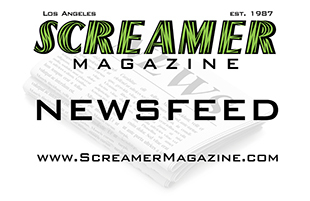 The energy rises again as they begin speaking of the great Paul Shortino, formerly of Rough Cutt and Quiet Riot, becoming the Mayor of Las Vegas as the Mayor of Entertainment. When most new bands start out, they work for what seems to be years creating their sound, their technique and their tightness as a group. Count’s 77 began with such great musicians and a brotherhood that developed immediately. This band’s sound created them with true chemistry, true energy, heat, heart and dedication. “We are all good, but we are all better together,” says Barnes. “We knew at the beginning there was something there. John Zito didn’t know it at the time he named his group Electric Church, but look at what it’s become. He did build an electric church and it was almost divine intervention that we have now become this group,” exclaims Curtis. Their sound is reminiscent of a blues 70’s rock and roll show band. “We are definitely a show band. We are not a cover band; however we cover songs, but we do them as if they were our songs and do them our way. You can hear that on the album with Rock and Roll Hoochi Coo and Snortin’ Whiskey,” Koker grins. Koker states how proud he is to be a part of this band and praises the dedication the guys have toward rehearsals, recordings and bringing it all to the stage for every show. “We are constantly pushing ourselves in every rehearsal and in every song to be the best we can be. We are only three years old now and we’re all still here and are as dedicated today as we were in the beginning. I am trying my best to keep up with these gentleman on a vocal level. They are so talented and yes I used to be a singer, some 20 odd years ago, but it is coming back to me. I don’t feel that I am exactly 100% at where I need to be, but these guys push me and I’m getting there,” says Koker, “and I never want to let my band down because these guys play their balls off so I want to be able to sing my balls off.” Curtis makes a statement that everyone agrees to, “Every time we play, it’s going to be the same guys. We’re not going to sub anybody out.” Disibio states, “It’s the Zeppelin complex and we just wanted to do this for all the right reasons; for the love of the music. We are a classic rock and roll band.” Their debut album packs a sound that offers 13 tracks of good old fashion rock and roll twisted with the groove of the blues. Track list includes Your Love Ain’t Right, Let The Rockin’ Do the Talkin’, End of the Day, Lovin’ Like This, Shame on Me, Stand Tall, Riding With the Sons of Perdition, My Machine, Working for the Man, Good Boy Bad Man, Save a Little Something for Me, Rock and Roll Hoochie Coo, and Snortin’ Whiskey. While Chris Logan and Paul Shortino offered backing vocals, what better way to have classic rock added to your album than with 70’s icons Rick Derringer and Pat Travers performing guest guitar solos for their original hits of Rock and Roll Hoochie Coo and Snortin’ Whiskey. Beyond the set of pipes Koker offers as the front man, the guitarists of the group definitely pave the road for this hot rod of an album to drive on. Riffs from Zito and Curtis presents a style which showcases their perfect pairing as Barnes and Disibio keep them pumping on bass and drums. The band credits a lot of their success as performers and now as recording artists to producer Mike Varney of Shrapnel Records. The relationship already existed between Curtis and Varney through Shrapnel. “We were blessed for that door to be opened for Shrapnel Records to sign us and even more blessed to have Mike Varney come on board to produce the album. He is an amazing man and he brought out the best in all of us. He listens, he knows our strengths,” conveys Koker. “Mike Varney saw us at our very first show so he knows how far we have come and we definitely give that credit to him,” says Barnes. The album will release on April 29. Count’s 77 will be hosting a CD release extravaganza at Zia Records on Sahara Avenue in Las Vegas along with a show on Saturday night at Vamp’d. The band will be playing Throttlefest in Chicago in June with more dates already lined up across the U.S. If you are close enough to catch a show, be prepared to rock for hours as these guys bring it all to the stage.